Charlotte McAntic spent her thirties, forties, and even fifties in peace and harmony aligning her marriage, mortgage, careers, and children. As she stumbles into a new phase of life—also known as the Golden Years—Charli cannot help but wonder where the gold and her husband, Pud, are hiding. Pud is happily cruising down the retirement path that, for him, leads straight to the golf course. While Charli spends her days at home cleaning out closets and the basement, she yearns to gaze deeply into Pud’s blue eyes and remember all the reasons why she fell in love with him thirty years ago. Unfortunately, the only thing Pud is eying is the next fairway. Knowing there is more to savor in retirement than silver-hair shampoos, senior discounts, and hernia surgery, Charli embarks on a quest to do whatever it takes to spend retirement in the embrace of the man she loves. But is it too late for happily ever after? Jena C. Henry holds a juris doctor degree from the University of Akron, presents writing workshops, and loves good times with friends. Now retired, Jena and her husband, Alan, live in tropical Ohio where they enjoy their two adult children and extended family, friends, and darling dog. 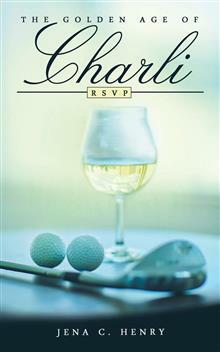 This is the first book in The Golden Age of Charli series. Jena is giving away a $25 Gift Card!